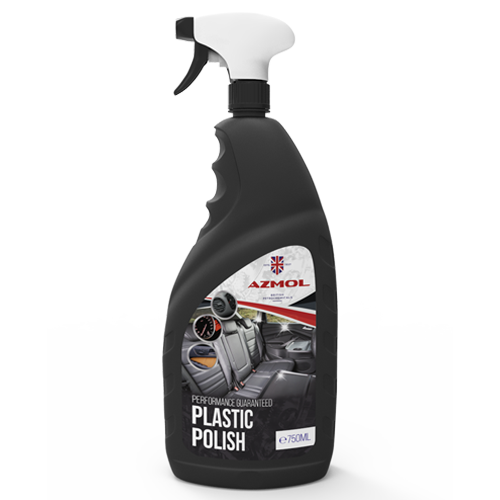 The agents intended for cleaning and protection of plastic, wooden and rubber surfaces. Restores the textured surface of the material, protects against aging, crackling. Has antistatic effect. The agent adds lustre and light aroma. Protects against dust and dirt. Application: Shake before using. Apply with a sprayer at a distance of 15-20 cm. Wipe with a clean and dry cloth. Do not use for treating the steering wheel and transmission control lever. Treated water, silicone emulsions, gelling material, sodium hydroxide, citric acid, non-ionic surfactant < 0.2%, flavoring agent, preservation agent, coloring agent.